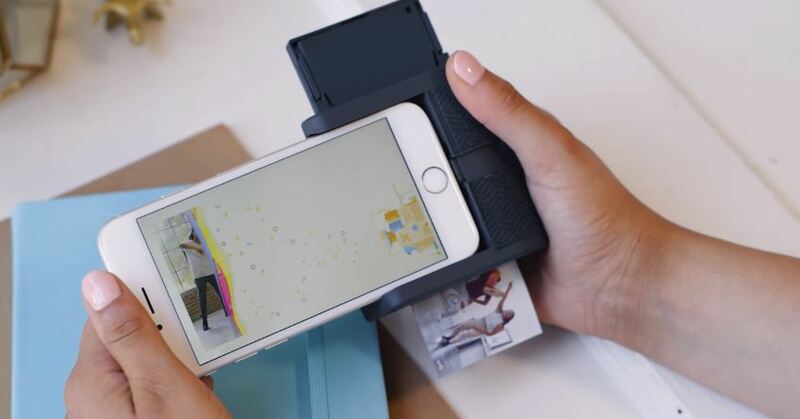 Mobile printing startup Prynt has unveiled their latest gadget that can print colored photos in just 30 seconds, and makes use of augmented reality to produce “moving” pictures. The gadget is certainly cool, but don’t expect to get high-quality images. The printing quality of the gadget is reportedly pedestrian and doesn’t even match up to photos from Polariod. However, the faster printing speed, easy functionality, as well as better connectivity to iPhones, make it a good buy compared to most Bluetooth mobile printers. Here’s how it works: when the users choose an image from their iPhone to print, the application will upload a clip from the Live Photo—or the Boomerang app from Instagram—to the cloud. After they scan the static image using the Prynt app, the video will be superimposed on top. “Here’s a way to capture all of that and put it into something that people would look back at. If it stays on their phone, you don’t necessarily look at it again,” he added. A mobile printer is not exactly new, considering that Polaroid has its own Insta-film technology, apart from its own mobile photo printer. HP also has the Sprocket (which sells for about $130). Perrot hopes that the new technology will encourage people to print their most precious photos. While the convenience of camera phones allows people to take as many pictures as they want, they rarely go through the photos after uploading them on social media. In most instances, they just delete the photos after sharing them on Facebook or Instagram. For now, the Prynt app is only available for the iPhone. However, an app dedicated for Android will be launched later this year. The app uses inkless paper from Zink, which can be activated using heat. The Prynt pocket printer sells for $138 on Amazon. Users will have to buy another pack for the sheets of paper to be fed into the device. One pack with 40 sheets will cost $20. Nokia 9 Smartphone: Leaked Promo Video Confirms Specs!